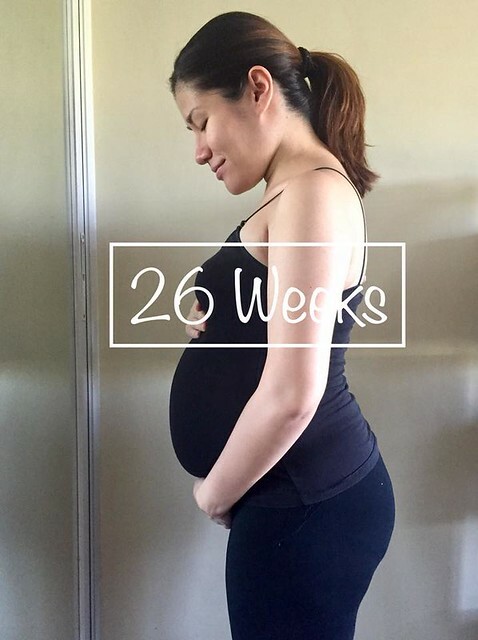 After an eventful first trimester, I couldn’t wait to just settle in what they say as the “easiest” trimester RELATIVELY. They say that in this period, pregnant women usually feel more like themselves…(usually). But then again, every pregnancy is truly different. I still hear stories about moms vomiting all throughout their pregnancy and I really feel so bad about them. I experienced a bit of morning sickness but it is usually due to hunger or because I ate something bad. I am not exempt from the fears. There are times I get so paranoid about the food that I eat – that it’s not cooked enough, it has mercury, the utensils in restaurants are unsanitary. All these crazy things I put in my head that strike fear to the already fearful first timer moms. But whenever these attacks come to me I am reminded to just keep praying. This just teaches me to be more dependent on God and I praise God for stretching me. I am not in control and worrying does not add a day into both our lives (Matthew 6:27). Worrying just gives me an illusion of control but really… I will never reach that state. Feeling breathless sometimes when I sleep on my right… but when I turn to my left.. I was sitting down on a chair waiting for Jason to check in (we were having a staycation for New Year’s Eve) and I suddenly felt this wave in my stomach! They said that the first time you would feel the baby is this fish feeling. Could this be our baby?? I was so happy with the movement I felt inside, I think the baby was stimulated because of the noise of people around. 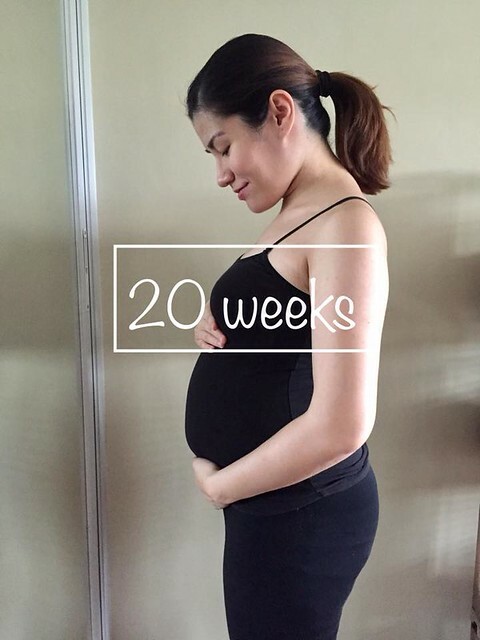 Most would say that it is usually during the 20th week that they’d feel a distinct movement, so part of me was shrugging it off but part of me was excited that baby made itself known a little early. 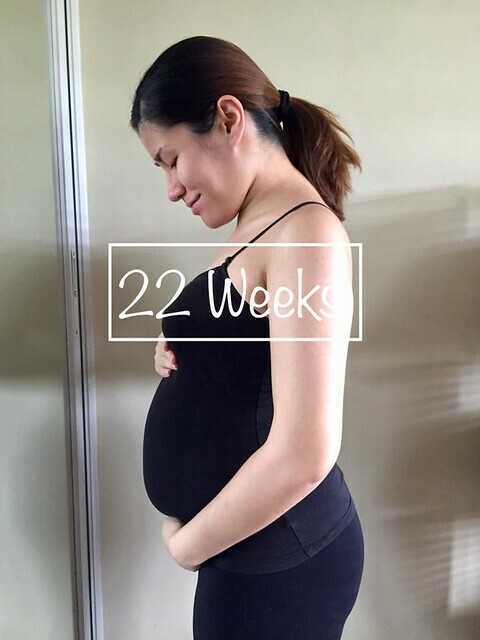 We were looking forward to seeing the baby in the Congenital Anomaly Scan (CAS) which happens during weeks 20-24. Weeks leading to the CAS we were praying that baby was healthy and normal. Before this scan, baby was a bit heavy and advanced for his gestational age. 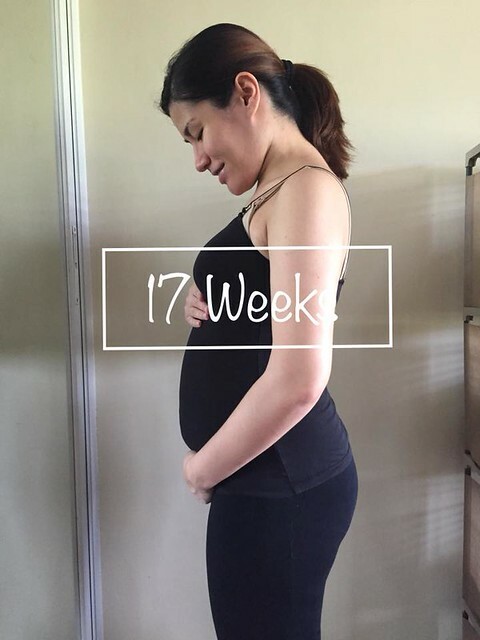 If the baby’s supposed GA is 1 week, it always turns out 1 week and 5 days old. Doctors would say it is normal. But anyway the moment of truth has arrived. We found out we were having a baby….. BOY <3 In the first trimester I was given a dream that we will be having a boy weird as it may sound. But anyway… it was so easy to spot his gender. CAS lasted for about an hour because the baby was active and it was hard to measure his limbs and everything. Everything was thoroughly checked, his fingers, toes, limbs, his heart, his face. This was the first time we saw his face and my heart melted. We just prayed for a healthy child then and though I initially preferred a girl (because I was so clueless about boys! ), I was reminded of our earnest prayer to conceive a healthy child and here we are – in God’s faithfulness – halfway there. I remembered my worry of how I was going to raise a boy – how am I going to teach him how to pee! But then it dawned on me that Jason was there and I was not going to raise him alone. Jason also reminded me that God knew and God gave this boy and He will provide the wisdom on how to raise our child. First time to feel your soft kick (it was so tiny!) But I felt it and took a video of it. 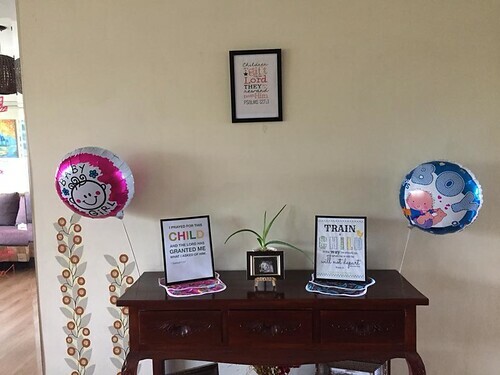 Since we found out the gender, we want to celebrate it with our family. 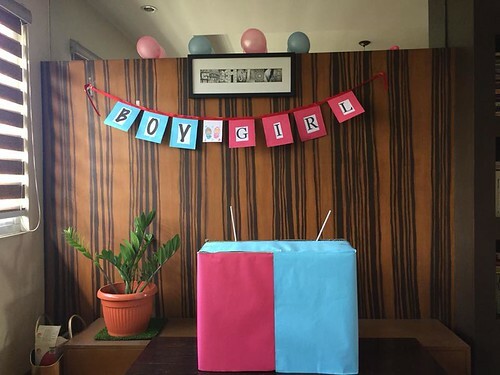 We conducted a simple gender reveal party for my side – the Tan family because we have more kids who would enjoy the concept of a reveal party. They voted a boy and they won! For Gia’s side, the Mendoza family, it was more simple. We ate at Silantro and they voted for a girl except for Pau, Gia’s sister who came from SG and gave us so much baby products. Since it’s a boy, we named him Greyson Maddox Tan = GMT, same as Gia’s initials and the commercial building. We decided that if it will be a girl, she will have my initials CJT. Greyson means son of a steward. He can still be part of the many meanings of our vlog Project G – project Greyson. 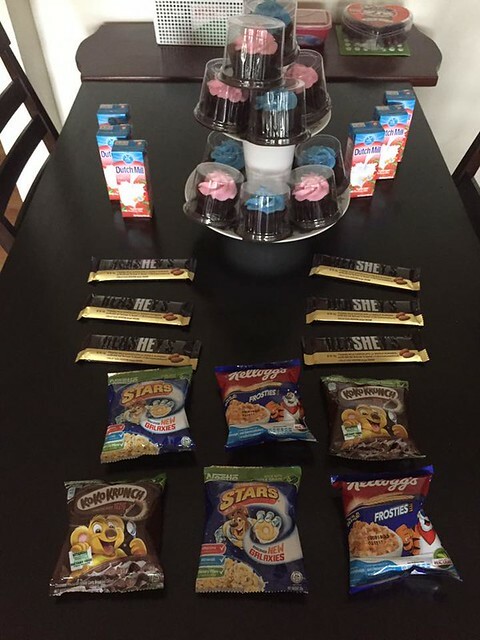 Super proud of the hubby for setting up this gender reveal party! He is the one behind all the DIY and designs. I saw him poring over Pinterest :)) to see how to set up the house. He is such a blessing! Where I lack (in arts and stuff), he completes! Truly, he completes me. Isaiah 41:10 Fear not, I am with you, be not dismayed I am your God. I will strengthen you and help you and will uphold you with my right hand. I was praying and crying and I immediately texted my OB Dra. Jing. She immediately called me and asked a few questions. God enabled me to surrender this to Him too and I just observed what would happen during the day. We attended a free birthing class from Rome Kanapi at an event, Pregnant Pause. We missed a lot because we arrived late due to a change in their venue. But I feel that we were able to heart the most important part which is the exercise – Pelvic Rock! I needed that during those times and it gave my lower back so much relief! It was good that Jason was able to attend too because he would know where my most painful part would be – lower right back. Since the third trimester he would regularly massage this part using a peanut ball. Found out I gained a lot! Let’s not talk about this. Haha let’s just say I’m a happy chubby preggy. 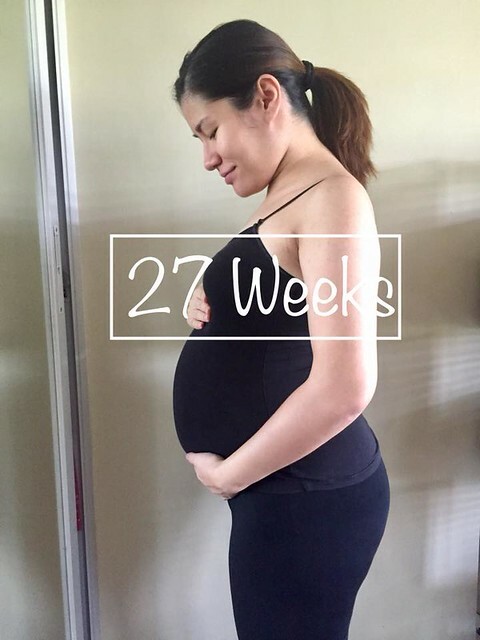 😀 The most important part was that baby is healthy and has a healthy heartbeat of 145.
when laying on my right, I feel baby g’s legs doing some bicycles as if a hamster on a wheel. I think he does not like me laying on my right. It feels as if I’m squishing him. After an hour, they took my blood sugar. Got my results at 12nn! It was really quick and praise God I passed the test 84/146. 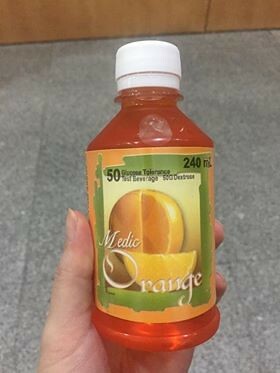 I was expecting that it would be elevated due to some sugars I’ve been craving and eating. We thank God for everyday – for this life inside of me. I thank God every time baby G moves in my womb, I never thought we would come this far after the bleed in the first trimester. I thank God for sustaining us everyday despite of our lack in judgment on what’s good for us. 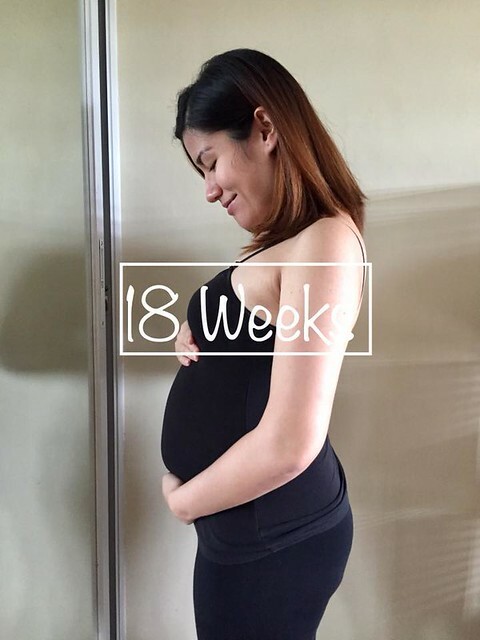 I may not be confident about the pregnancy and about the things we are learning or even applying but during these times, I am taught to be confident in a good God who is loving and all-knowing and gives us what is best for us. 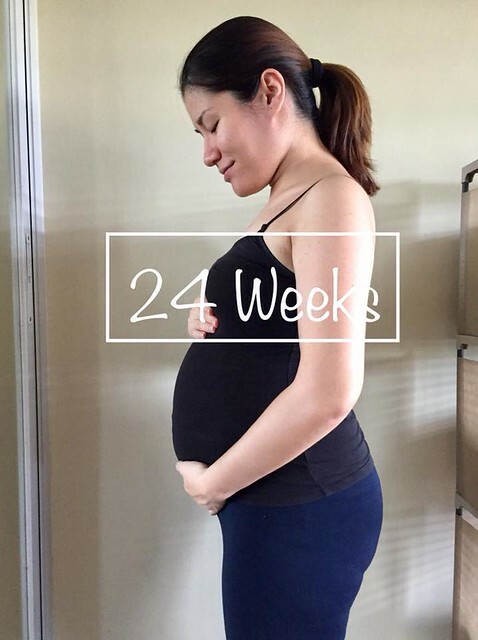 Now on to the third trimester!